William Cletus "Bill" Nevers II, of Lakeview, OH passed away Saturday night, September 8, 2018 at his home while surrounded by his family. William was born on August 12, 1964 in Bellefontaine, OH, a son of William (Carol) Nevers, Sr. who reside in Zanesfield, OH, and Ann Wood Nevers, who resides in Delaware, OH. He was preceded in death by his maternal grandmother, Doris Wood and paternal grandparents, Charles and Stella Nevers. Bill is survived by his son, Dakota Nevers of Wapakoneta, OH, his parents, three siblings, Tim (Kim) Nevers of Prospect, OH, Angel Nevers and Tori Rose, both of Bellefontaine, six nieces and nephews, Courtney, Cody and Kyle Nevers, Chantz Rose, Kyle Rumer, and Kaden Ballinger, Special friends, Jaime Powell, Alyssa Powell and Missy Bartram, and childhood friend, Tonya Tiemann. 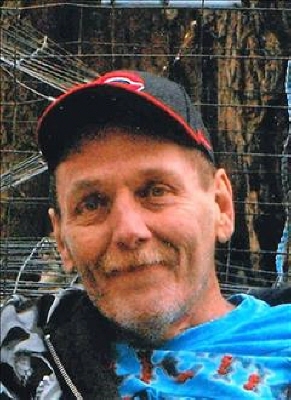 Bill worked at Schaefer's Machining in Lakeview for 18 years and most recently at Plastipak in Jackson Center, OH. He enjoyed watching sports including NASCAR and was an avid fan of the Michigan Wolverines and Miami Dolphins. He loved spending time with his family and friends. Per Mr. Nevers' wishes, no public services are scheduled at this time. Arrangements are being handled by Shoffstall Funeral Home, Lakeview. Condolences may be expressed at shoffstallfuneralhome.com. To send flowers or a remembrance gift to the family of William Cletus Nevers II, please visit our Tribute Store. "Email Address" would like to share the life celebration of William Cletus Nevers II. Click on the "link" to go to share a favorite memory or leave a condolence message for the family.